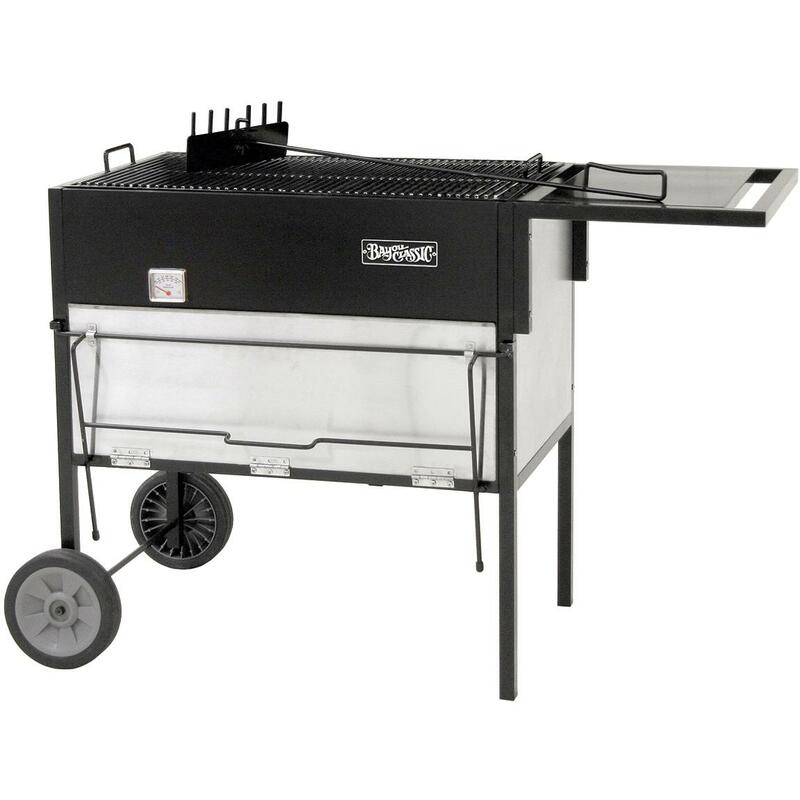 Grill & roast at the same time with the Bayou Classic Roast Box, featuring a durable steel body, two 14 1/4 x 17 3/4 inch stainless steel grill grates, a 31 x 20 x 12 inch roasting oven, a 25 x 18 inch roasting rack, a side shelf with handle, durable rubber wheels, a stainless steel temperature gauge monitor, a 34 inch ash rake & 3 accessory hooks. 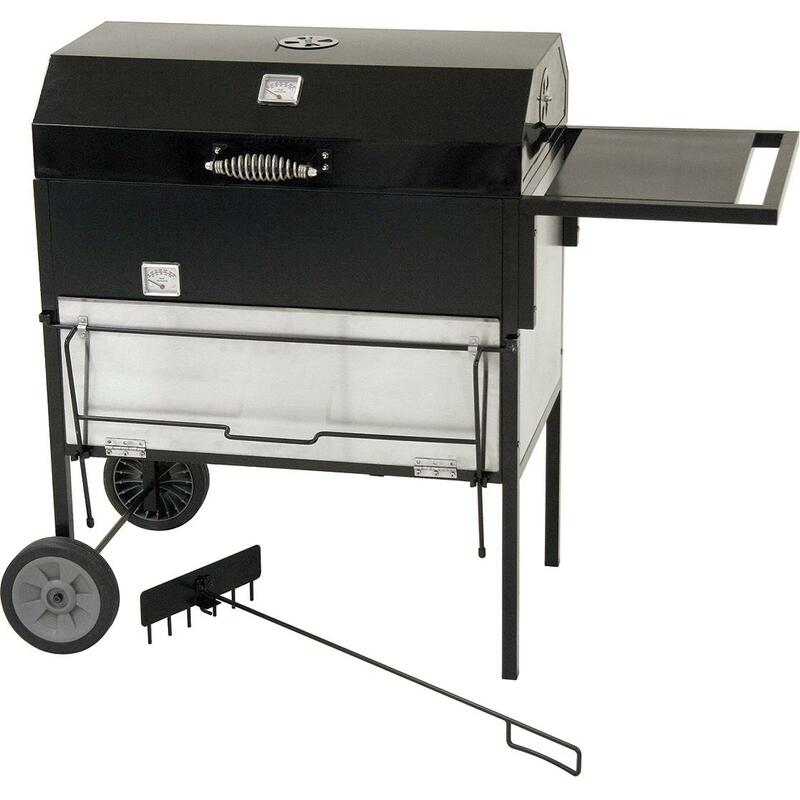 The roasting oven features an easy access door with support legs to free up both hands for inserting or removing large dishes. A charcoal bed sits underneath the grill grates to provide an authentic charcoal grilling experience up top while delivering radiant heat to roast large dishes in the spacious 7,500 cubic inch roasting oven.